It was an ordinary January morning. I had a cold. Life was half hazy, half bleak, half asleep, and three-quarters I-can’t-even-brain-today-thanks. (I also apparently cannot math when I have colds.) Then suddenly, it was a not-ordinary January morning. A semi-anonymous (I’m fairly 1000% sure who it was from despite the lack of name anywhere) grey envelope arrived in the mail for me. All this mysterious grey envelope with nothing on it but my name and address and a cantaloupes stamp contained was a small piece of notepaper with a quote on it. This was like the final straw. Dream. Follow that dream. Do not ignore it. Our Dreams and our talents are given to us for a reason, and often coincide . . . which is not a coincidence. So many things were telling me this, in so many different but similar ways. Entirely unrelated books, articles, even signs at my favorite cupcake shop… even the little picture I have on my wall which was my grandpa’s and looks at me every day but I’d ceased to notice. And then this random quote in the mail, which is about as un-ordinary as you can get. All telling me something I keep trying to ignore, but finally had to listen to. For a long time now I’ve said that I don’t have a dream. I’ve even worried that that means there’s something wrong with me, because everyone else has dreams, so I must be odd. I sometimes feel like I’m just a fixed point in the world, not moving forward, not striving toward anything, just standing there lost as all the traffic of other people flash onward to either side of me, each hurrying toward their own goals and dreams. I don’t have one. Or that’s what I tell myself. The truth is, I do have a dream. Or dreams. I just have decided that they will never happen, that there are too many roadblocks in the way, that they’re impossible. So I pretend I don’t actually have them. Because what use are they? They will never amount to anything and it’s selfish to even imagine them, let alone imagine them coming true, or, horror of horrors, actually working toward trying to help them come true. No. Because obviously, if I enjoy something, like writing, if I have a talent for it, then obviously it can’t be what I’m supposed to do because I have to find some job that I don’t like… because writing is just my hobby and I should never take it seriously, and I should push my dreams, whatever they are, deep down and never let them see the light of day, because they’re impossible. These are all lies I’ve been telling myself. I bet many other people are too. We DO have dreams, and talents, for a reason. If they’ve been given to us, we should let them see the light of day, and perhaps even let them shine or reflect some light of their own. It would be a dark world, indeed, without them. Perhaps they won’t turn out as we hope or expect them to, but surely something good must come of it, even if in an entirely unexpected way. But we won’t listen . . . I listen to those words and realize I’m constantly saying them to myself… all except the last part. But I shouldn’t. They’re not true. Nothing is impossible. So on this Leap Day — when we get an extra day (not really, but it’s symbolic anyhow) — I thought I would say: Leap! Let’s take that extra time and do something with it — which is not really extra because tomorrow never comes but we always have today. The time we have is now, and now is the time we have. Let’s use it. Today and everyday should be for leaping . . . To take a leap of faith — to dream, and to follow that dream into tomorrow . . . and every tomorrow to come. The Tenth Doctor and the Eleventh Doctor are both around at the same time, and are waiting around in a dentist’s office, arguing. 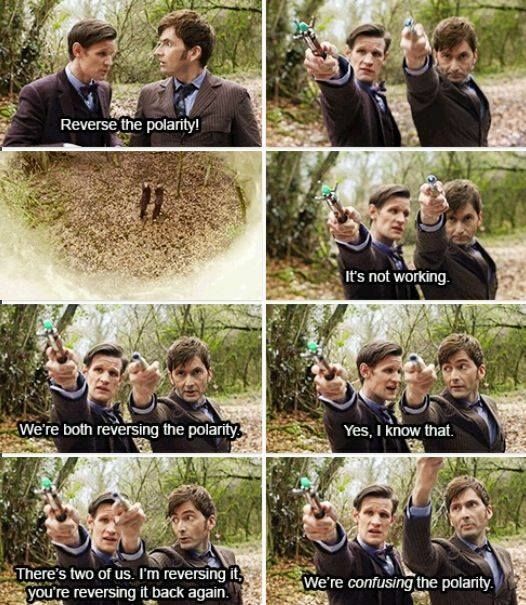 Because if you put two different versions of the Doctor together at the same time, they’re of course going to argue. They’re arguing about dogs. Specifically whether, if you cross a breed of dog that’s big, fluffy, and intelligent, with a breed that’s small, short-haired and stupid, do you get dogs of a medium size, normal-length hair and average intelligence? They both take different views on the subject and are going at it with spirit. I stand off to the side, listening to them and being quite amused, and there’s also the dentist and various people off to the other side. For some reason the office looks suspiciously like a store-room, full of lots of big boxes and crates, two of which Ten and Eleven are sitting on while they argue. It’s quite fantastically marvelous to watch. All of a sudden there is a loud disturbance. A banging on the door, as of someone trying to get in. Going by past dreams, I know it could be something really creepy, so I at once start looking around to see if there’s a place to hide. This is the smart thing to do. I detect a closet and deem it a good discovery, and turn to watch what’s going on. The two Doctors are still bickering, but someone else—alas!—quite foolishly opens the door. Immediately, a Dalek rolls in, buzzing its battle-cry. And starts blasting people all over the place. “Look! This is how you shave an eyebrow off with a sonic screwdriver!” He demonstrates on himself with an electronic humming buzz and a flash of blue light. Eleven meanwhile pulls out the blaster weapony thing Jack Harkness had and blasts at the closet door with another flash of blue light, to see if it’s blastable, which it isn’t. Thus cheered, I evict a bunch of boxes and closet stuff from inside so there will be more space. The closet has lots of stuff, including, inexplicably, a small and completely adorable-looking otter curled up in a corner, who gets up and patters swiftly off past me while I stare in a sort of melted-by-adorableness-astonishment. Then, shaking free from my daydream, I hastily return to the task at hand. We slam the door and bolt it shut, and watch through the suddenly-transparent closet door as the Dalek scrolls up toward us. It starts talking to the Doctors, trying to intimidate them, or else to annoy them to death—or knock their ears off with its annoying buzzing voice. The Dalek tries to blast the door. But . . . it. doesn’t. work. We actually got away! Since when does that ever happen in a dream? The scary “it” of the dream always gets you! But not when it’s Ten and Eleven and me—No. We are just too fantastic to be exterminated. I wrote this back when I had only seen “The Avengers” and hadn’t yet seen either of the Thor movies… so I didn’t know Thor used to grin in Thor 1, and hadn’t seen Loki’s hair like it was in the dungeon scene in Thor 2. These characters don’t belong to me, obviously, but to Marvel. I walked gingerly along the half-finished floor of a room in the big old wooden house that was under repair, trying to find safe footholds on the rickety boards that I feared might snap under my weight. Whoever was fixing this place wasn’t doing a very good job. But hopefully Thor, who was following my lead, would catch me if I fell. Come to think of it, why wasn’t the so-called floor merely falling apart beneath his weight? He probably weighed a ton. I swiveled to see how he was faring in our crossing of the room. Thor was walking easily, his fair hair and silvery armor dulled in the faint light, his dark clothes blending with the shadows, and his red cloak swaying after him as he strode along, finding the solid beams beneath the floorboards. As he went, he glanced down and absently poked at a board with his boot. The piece of wood snapped and fell away. He kicked another and it met the same fate. He glanced at me. In his serious and strong-jawed face, dusted with golden stubble, there suddenly flashed what if I hadn’t known better I would have thought was a gleam of malicious intent. 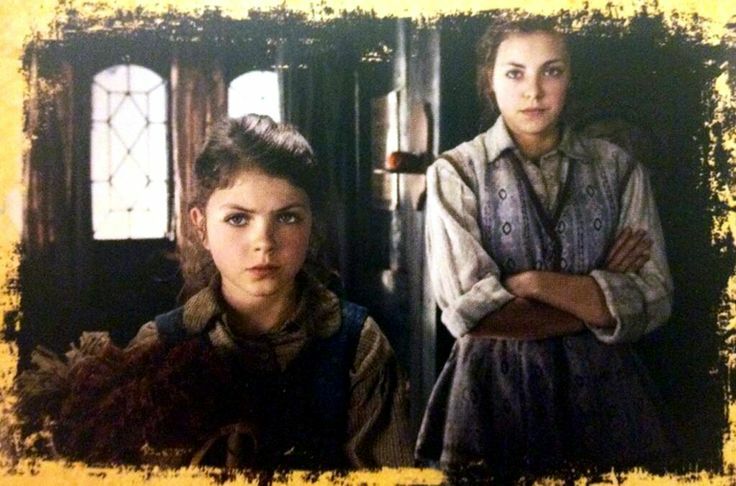 It looked more like an expression his brother Loki–who was in the back yard and who we were on our way to find–might make, than anything that would cross the face of Thor under normal circumstances. Saying nothing, he leaned over and started deliberately breaking the floorboards with his hands, in a way that jeopardized my currently safe footing. “No,” I said, as I stepped hastily backward, and then “nonononono!” in one long word with five short syllables as the boards under me caved in partly so that I fell backward and slid halfway between them. I ended up lying on my back at the bottom of the slanting wood; if I moved the wrong way, I would slide down under the house. Thor kept coming toward me, leaping lightly from beam to beam, tearing up boards. With his hammer, he could probably have demolished the entire house in three seconds flat, but fortunately he did not have it with him. Apparently he was in a mood for leisurely destruction. Something was clearly wrong with him. With some little difficulty, I scrambled out of my precarious position and streaked across the room as quickly as the treacherous floor would allow. I dashed out a side door and I found myself outside on a sort of balcony-porch—only half-finished like most of the house—that was several feet above the ground and didn’t have any steps yet. I turned toward the back-yard and made a call for help to the only person for miles who might be able to do something. A short silence followed. I could still hear Thor shattering the floor inside. Then the thin smooth face, sharp nose, and long sleek black hair (spiky in the back) of Loki appeared just above the side of the balcony’s floor, where he had apparently climbed up. “What,” he said, more in annoyance than inquiry, as he pulled himself higher. “Help,” I squeaked, barely suppressing an exclamation mark, in a sort of sheepish but panicked plea. Loki was the last person I could imagine going to for help. Apparently he thought the same thing. His face held a blank and incredulous look as he tilted his head slightly to one side and blinked his shifty eyes at me as though trying to grasp the idea. Louder crashing ensued from inside. “Thor’s breaking things!” I wailed. “Ah.” The questioning look cleared and Loki vaulted himself over the edge of the balcony up to where I stood, his green cloak swishing, and went inside through the doorway I had left by. Careful to stay away from the area I had been in before, I hurried inside the house another way to find the people who lived in the more completed rooms. I paused in a doorway, unable to go further due to a rift in the floor, and found them in a hurried state, trying to leave. With good reason. Thor’s previous noises paled to nothing in comparison to the catastrophic smashing that now came from the far end of the house, the tell-tale signs of a fight between Thor and Loki. “Girls!” the mother called. She was a tall thin woman in grey, with wispy blond hair pulled up into a bun on the back of her head. Her three daughters scampered from the other room where they had apparently been grabbing coats, and began following her out, along with their two dogs who were barking frenziedly at the sounds of the battle. In her haste, the oldest daughter, dark-haired and wearing blue, dropped a pail she was carrying, and it slid down a sloping board. “Bucket, bucket,” she said, running after it to fetch it back, while the mother called for her to leave it and hurry, herding the two younger girls with blond curls out the door. But the older girl retrieved it quickly and all four of them quickly exited the house, the two dogs following half-heartedly as though torn between going with them and staying to bark at the strangers who were breaking the house. As I was about to go back out the way I had come, the floor suddenly gave way beneath me—chain reaction from the next room, I supposed—and for the next several minutes I was engaged in trying to clamber my way out from a tangle of broken wood. During that time, things got oddly quiet except for the one dog, who had stayed and was still barking. I couldn’t find any sort of proper footing on what used to be the first floor, so I clambered up more wreckage to a sort of attic area. It was dark up there, and piled with stuff, but I managed to find a place to stand at the edge of the gaping hole that used to be the ceiling of what had once been the room Thor and Loki had been fighting in. The dog barked still, and I heard the oldest girl, who must have come back for it, telling the dog, “Be quiet—you’ll wake him!” The dog quieted and apparently left with the girl, for there was silence. Wake him? I scanned the dark attic anxiously, the words “Waken a sleeping giant . . .” running through my head. It was hard to see in the dark, but I gradually made out a mattress by one wall with a pile of blankets tumbled on top. They shifted, and a pair of boots stuck out at one end suddenly. The person under the blankets moved again and the coverings fell away, showing Thor curled up under his scarlet cloak, apparently napping after his fight. Not wanting to wake him in case he still had any smashing feelings left, and wondering where Loki was, I tried to tiptoe quietly away. Despite my efforts, the floor creaked. 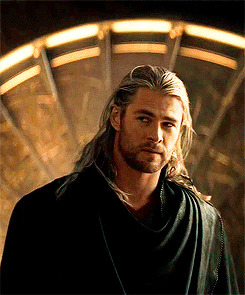 Thor stirred, flicked his cloak to one side and sat up, stretching his arms over his head. Then he glanced over at me. His mane of blond hair was all pushed back instead of falling to both sides of his face as usual, and he smiled. “Greetings,” he said in his deep rumble of a voice. “I’ll just be leaving,” I said. “What, no kiss to commemorate my victory?” he jested, grinning again. A big grin on him was so weird . . . He stretched again and the movement caused the floorboards to quake a little. I felt my portion of the floor begin to teeter—I was about to fall. 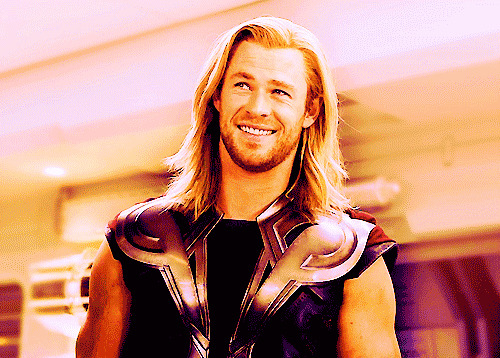 “Eheh,” I said, grinning skittishly at Thor as I tried to regain my balance and not panic and plummet to my death. 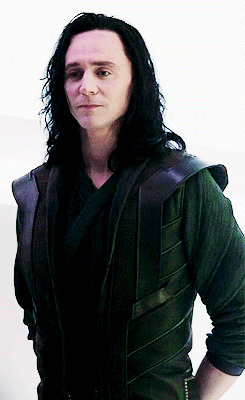 “Loki!” I hissed urgently in a furious whisper in the general direction of where the shattered room used to be. Where was he? Thor looked in that direction as though he saw something. Loki’s head and shoulders appeared, poking up above the edge of the hole in the floor, his black hair no longer sleeked back and instead hanging forward over his ears from the fight. It struck me that I had never seen his hair like that before. 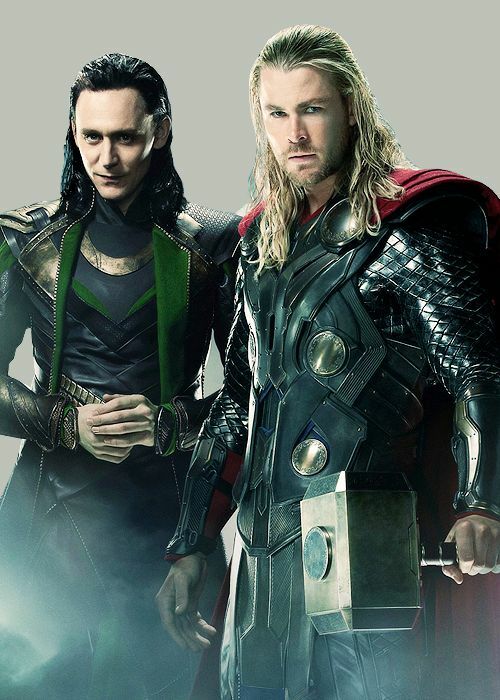 Thor and Loki faced each other, opposites—Thor with his fair hair pushed back, and grinning, Loki with his dark hair hanging down, and serious-looking. They both looked so different than they usually did, just with their changes of expression and what their hair was doing. “I win,” Thor said in his deep voice, still smirking. He lent me some balance with his arm so I could get off the unsafe part of the floor, and we exited through a far-window, leaving a still-grinning Thor watching us leave, reclining in comfort on a mound of pillows. We climbed back down onto the unfinished balcony. As soon as we were standing there safely, I turned and stared at Loki. “What is going on?” I said. “We have to go and find out why he’s being so petty and violent and foolish—it’s out of his character,” Loki said, looking thoughtful. Thor is acting out of character? I thought. Then what about you? Normally Loki would have enjoyed calling his brother those things, and grinned the whole time. “And we have to find out why you’re acting so serious and noble,” I said as a test. I expected Loki to blink and suddenly realize he’d been acting like his brother, and shake his head and say, “Oh, is that what I’ve been doing. It’s a repulsive feeling.” Then he would suddenly flash his brilliant grin with all his white teeth and sleek his black hair back, saying, “You know what? You go on ahead. I’m staying right here.” And then he would leap back inside, from where further fighting noises would shortly ensue. Instead he paused, tilting his head and raising an eyebrow. “And that,” he agreed. Then he blinked and shook his head slightly as if thinking that’s not right, and half remembering . . . but he couldn’t seem to grasp it. He blinked again and shrugged. He strode toward the end of the balcony and I followed him. Here’s something about me: I never write fanfiction. Last night, I had an awesome Avengers dream. There was lots of stuff with Captain America doing things first, but that’s not important and I don’t remember it very well. But he and Black Widow were on their way somewhere to do some rescuing things, and there was this big scary creature person fighting them on the way. There was something about the creature looking sort of like a crocodile and Captain America knocked it out by punching it in the face, which is where we come in. The characters belong to Marvel, etc. etc., and this is just for fun and random. Pictures are from Pinterest. “Croc eye,” Captain America muttered as he finished knocking it out; it stilled on the concrete, eyes closing. “Ooh, that’s funny,” he added as he walked on. Black Widow continued striding after him. “Why?” she asked as we went through a shadowy building. 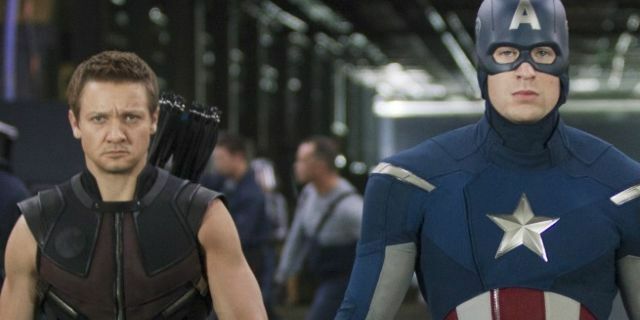 “Croc eye, Hawkeye,” Captain America explained, rhyming and smirking at it. “Yeah, really funny,” said a shadow from high up. I looked, and felt a little leap of exhilaration. It was him! Hawkeye jumped down from where he had been perched with his bow, and joined us in striding quickly onward through the darkness of the busy concrete building. Ooh! He’s in this one! I thought with a thrill of ecstatic excitement. As if it was an Avengers movie. There was a sort of high-pitched keening scream/squeal coming from somewhere, and it took me a moment to realize that “somewhere” was from me. I flailed my arms. “Fangirling!” I said, apparently to explain to any bystanders what was going on as I happily traveled along after the three. 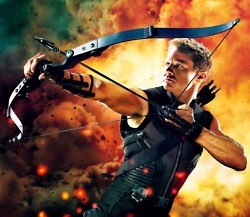 Hawkeye gave me a look, no doubt due to my squealing. I suddenly realized, walking along right next to him as he looked at me: Wait; I’m in it too. My next thought was: I’m never going to get another chance like this. 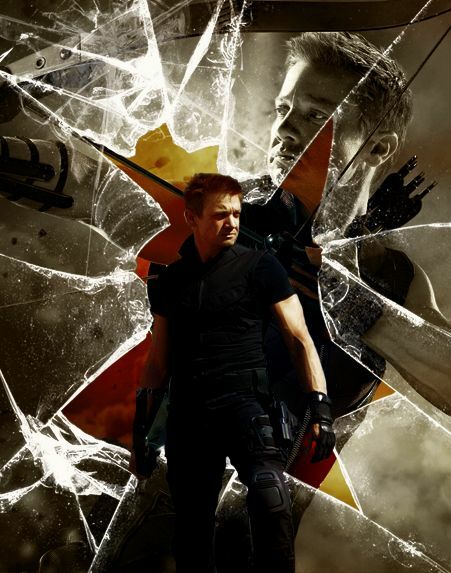 So I seized the moment—and Hawkeye’s head—and kissed the side of his forehead. He paused to disentangle himself. “Augh! Really?” he asked. 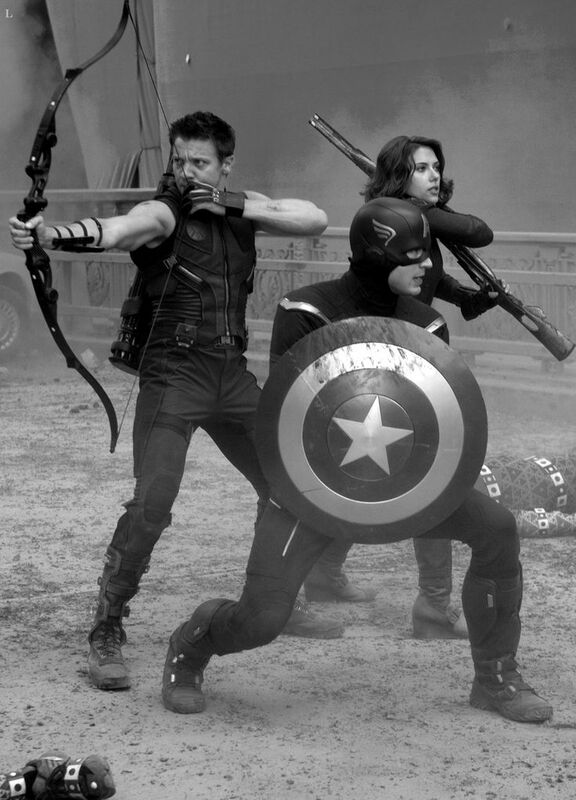 “Can I take off now?” Hawkeye called ahead to Captain America and Black Widow, implying that he didn’t want to work today. “Nope,” and “There’s people to rescue,” they answered, not looking back. 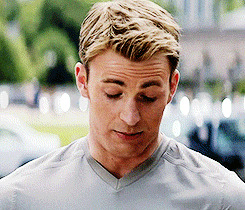 “Figures,” Hawkeye muttered, glancing at me.